Over the next week we are kicking off the year right with some huge bonuses. Each day throughout the week our members will be greeted with bonuses that everyone can enjoy. 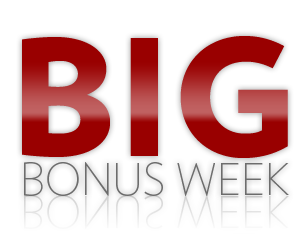 From Saturdays 200% up to $/£/€200.00 to Wednesdays $/£/€50.00 bonus that can be used 3 times, make sure you login everyday to take advantage of these huge rewards.